It’s 6:00am and Julia’s alarm clock sounds. Outside it’s still a bit dark and quiet. She prepares her tennis bag and grabs her racquet. She walks five minutes from the house to the club’s cafeteria with some campers to meet the big group and have breakfast by 6:30am. Breakfast includes cereal, toast, ham and cheese sandwiches, fruit juice and milk. “The tennis system was excellent. I improved my technique a lot, I learned how to keep my forehand hand up during my back swing and to move my feet more”, Julia explains. Julia is a 12-year old girl from California. 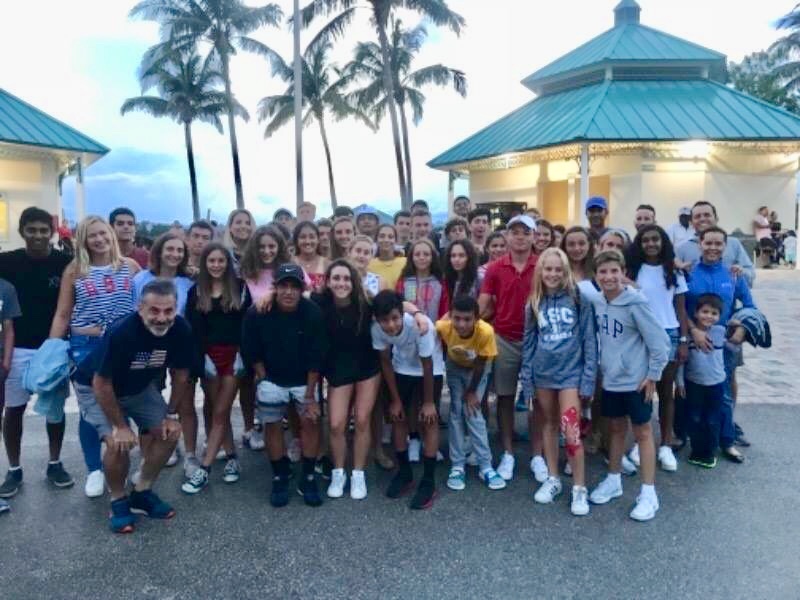 She came to ASC Florida Summer Camp in 2018 for five weeks from June to August. “One of the things I liked the most is the friends I made. One of them, Valentina is now my best friend”. In the afternoon, she would play one more hour of tennis, have an optional language course, and then go out to do an activity. On the weekends, she would continue her training and compete at USTA and UTR tournaments. “One of my favorite activities was when they took us to the movies. We watched Jurassic Park. That was really fun”, says Julia. “Something I really liked is the way the coaches interacted with us not only on court but also in the activities we did”, she remembers. When summer camp was coming to an end, Julia didn’t want to leave. She wanted to convince her parents to allow her to attend school that year as part of the ASC Annual program. 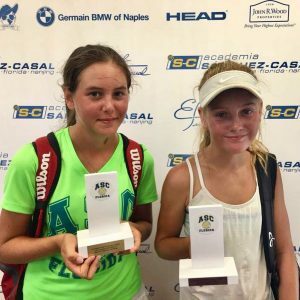 “I loved the tennis instruction and I was also part of the school in the summer, and I enjoyed the way they taught there. Back home I couldn’t devote so much time to my tennis practice, while the annual program lets me train every day, while attending school on campus”. We asked her how she convinced her parents. “I was begging and begging them. I prepared a Powerpoint explaining what I liked about the Academy and the academic school to convince them.” And it worked out! You can make new, long-time lasting relationships. You can learn a new language and practice it outside the classroom with other campers. Campers engage in outdoor, healthy activities away from the technology induced sedentary lifestyle. You can perfect your tennis game, and build up your ranking at the weekend tournaments. You can develop a strong, focused mind-set. You will have the chance to disconnect by engaging in leisure activities. Tennis camp will help you develop as an independent individual. You will likely grow your passion for tennis, professionally or as a sport to play in high school and college. You will learn from positive role models. You will have a memorable experience! 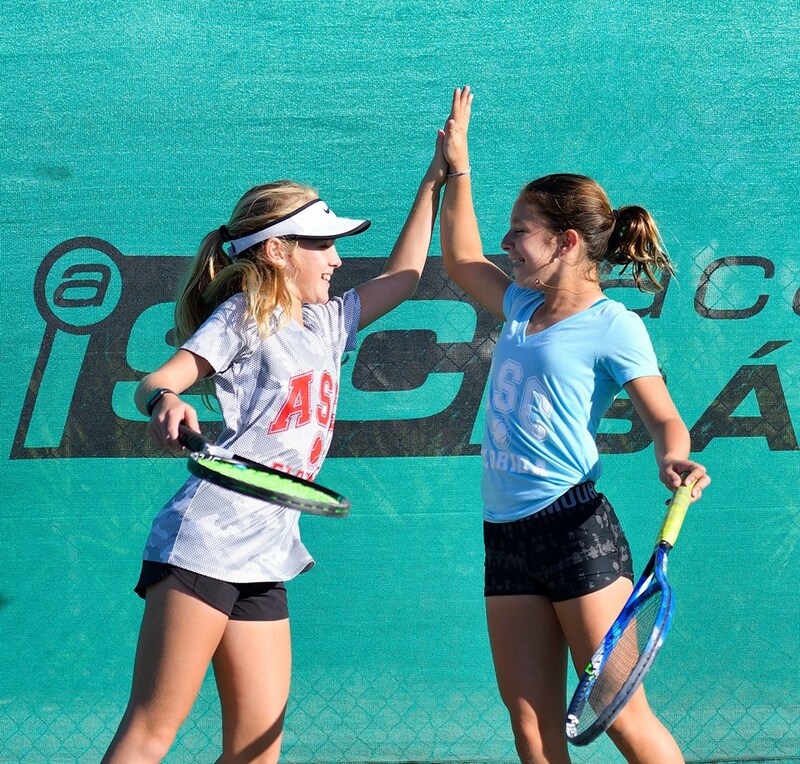 At Academia Sánchez-Casal, we believe that the summer holidays are a great opportunity to for children to develop in the sport they love while having fun in a safe environment. 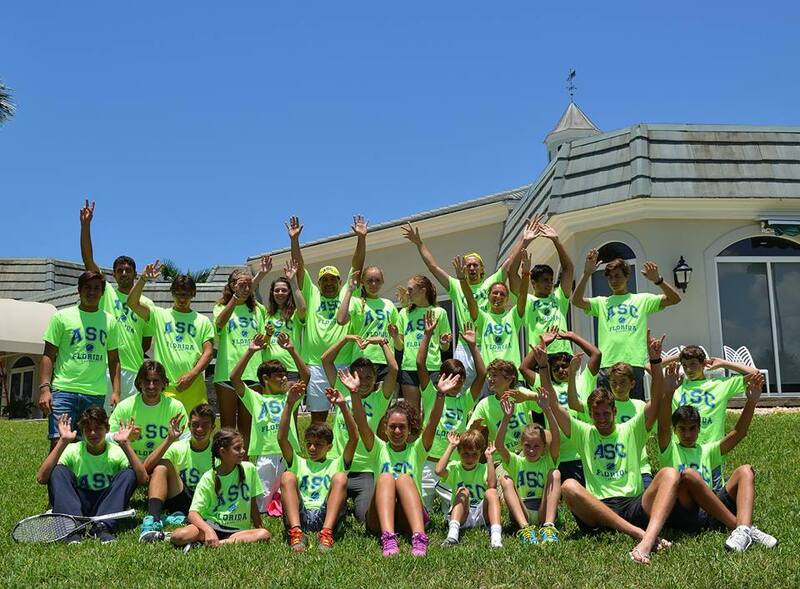 Our summer camp runs from June to September in our headquarters in Naples, Florida, and Barcelona, Spain. Only until March 1, you will save 20% off any summer camp week. More information here We would love to see you this summer at Sanchez-Casal. 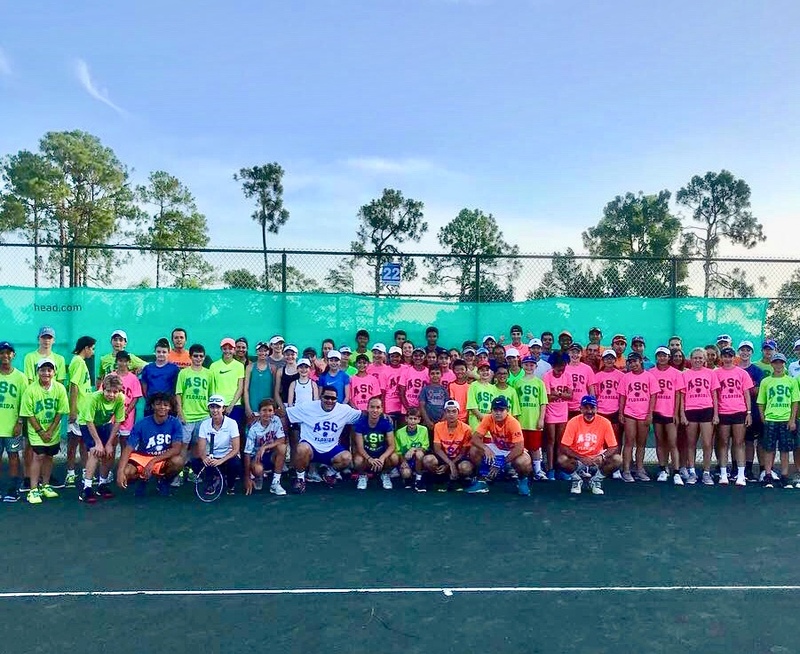 This entry was posted in Tennis and tagged coach, Emilio Sanchez, Naples Florida, Sánchez-Casal Academy, Sánchez-Casal stories, summer, Summer camp, Tennis, tennis academy, tennis camp, tennis lessons, Tennis players, tennis school. Bookmark the permalink. My son Leonardo of 10 years old has already spent 2 weeks in the Sanchez Casal academy em Barcelona last December 2018. I would like to know if you have any English course (more than 1 hour a day, I’m looking for 2-3 hours a day course) in addition of tennis training. I would be interested in it starting from the end of December 2019 for 3 weeks. Thank you very much. We will contact you by email to give you all the details about the Summer camp. Best regards!